Do you want to have Lost Heart Breaker quest back? 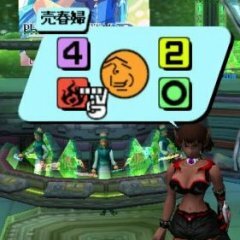 In the same day PSO2 Dropstyle was implemented, Larva decided to take down Lost Heart Breaker quest, because he found that the Centurion/Battle hunting was too easy with this quest. He even posted in a thread saying that quest will only return when the Summer Event ends. Some people noticed that without this quest and with the current droprate (that clearly have increased when compared to the last year), it is becoming a hassle to hunt that item, that after all, is just a Unit that increases 110% the battle speed. Ten days of event have passed, and we had that quest active for only 5 days. Because this quest was added, some moderators said the droprate have been increased due to the hunt being easier. But now, the quest is gone, and the droprate wasn't adjusted to the old one before this quest even existed on server. So I would like to know what people are thinking about the hunting so far. Do you think that this quest should return to Ultima for the Summer Event? A server is made by users. So I think the wishes from users should be taken into account. Vote it with your sincere though about the situation. Please if you have something to comment, or feedback about the poll, feel free to do that.